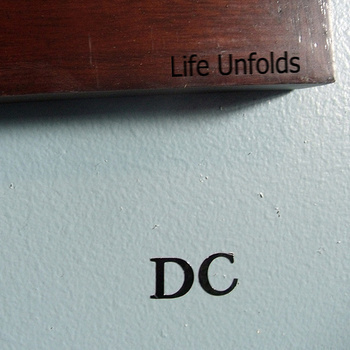 With already a number of releases under his belt, Derek Clegg returns to our blog with another set of tracks in, Life Unfolds, which was originally released in 2012. Much of his previous works have been featured here on Frostclick as well, including his debut album KJC which has reached more than 100,000 downloads since it first grazed the pages of the blog. His other releases also garnered good reviews as well and Life Unfolds shouldn’t be any different. After all, it continues to showcase Clegg’s characteristic indie altcountry acoustic sound. His music has always contained a laid-back feel; emanating emotion through his pop vocals and heartfelt lyrics. The Chicago native starts this latest album with title track, Life Unfolds. The song is an upbeat acoustic pop cut that talks about a lost relationship. The song itself is simple but comes across as very genuine thanks to the beautiful lyrics and catchy beat. It’s the kind you play as you drive around town under good weather. Meanwhile, most of the other tracks like Blue Skies, Blind and I Don’t Mind, all have that indie folk pop feel to them. Clegg’s vocals contribute to the relaxing atmosphere of the cuts; something he has definitely mastered doing for years. Like his previous releases, this one is perfect for easy listening. Fans of the genre will find the album to be a good company. Armed with an acoustic guitar, Clegg impresses his listeners and makes them want to just sit back and take the day off. Derek Clegg writes and records his own music right at his home. It’s proving to be a successful formula as he churns out records that glow with that familiar homey feel. Apart from KJC, his other albums that were featured in the blog include It Seems As Though, Across Town, and Here Comes Your Fate, Quick Duck. If you are a fan of the genre and Derek Clegg’s sound, you’ll surely enjoy this piece. Go ahead and grab this record.